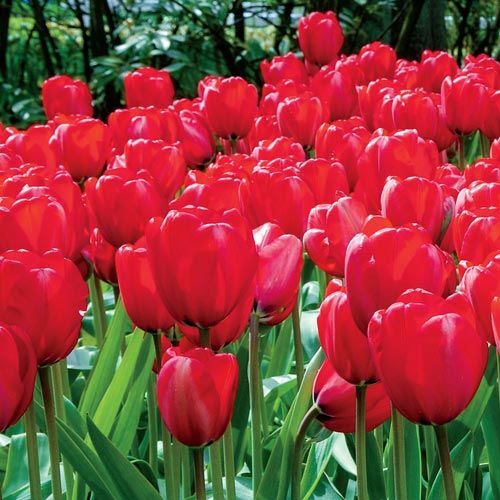 Buy 10 Bulbs, Get 10 Bulbs FREE! 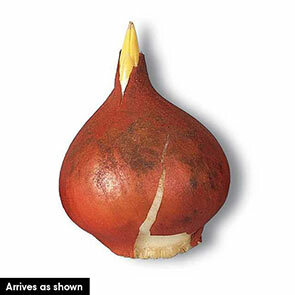 You will receive 10 FREE Bulbs when your order arrives. Please note, the additional 10 Bulbs will not show on your web order and will be processed when your order ships. Robust, red blooms with a dash of black at the stem. 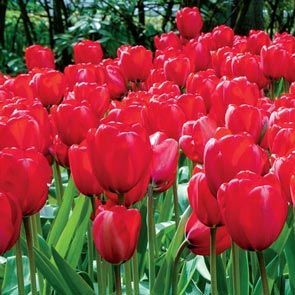 Renowned by garden professionals, this breathtaking beauty is considered one of the best red long-stemmed tulips in American gardens. An excellent perennializer! The signal red hue on its large, 5" flowers is made all the more dramatic by a touch of black at the base. Foliage Type Gray-green, linear or broadly ovate. Planting Instructions Plant 6" deep and 4-6" apart. Loosen soil about 10" and water well after planting.